For warranty and repair purposes, FTR Systems will need to know the serial number of the CaddyTrek. 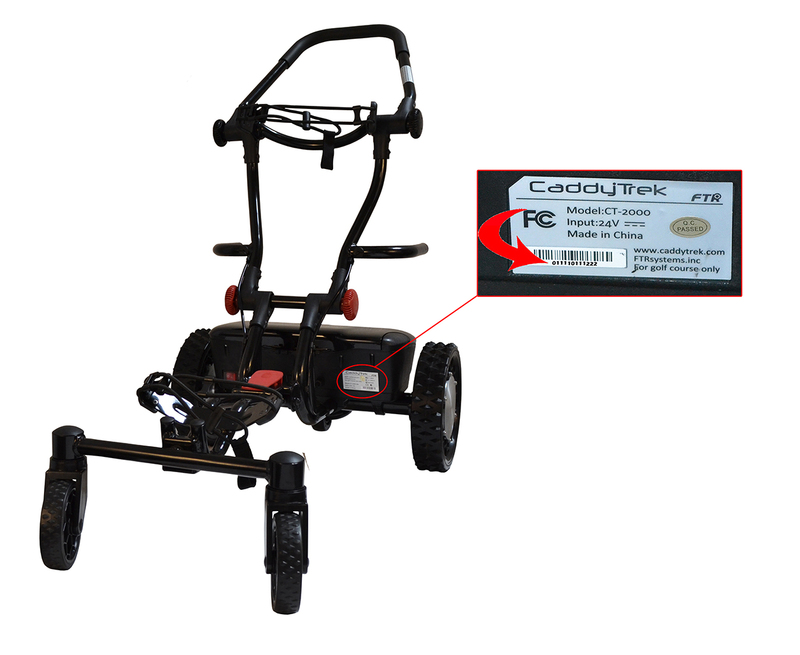 To locate the serial number for your CaddyTrek, please look to the image below and follow the instructions. Face the orientation of your CaddyTrek as it is pictured below. Look to the bottom right of the Caddytrek and the white placard. There, you will find a barcode with a number below it. That is the serial number for the CaddyTrek. Write it down and record it in your records.